Serving San Fernando Valley and ALL surrounding areas! Since 1989, Valley Carpet Cleaning has been dedicated to providing quality service to homes and businesses in the San Fernando Valley area. We specialize in residential and commercial carpet, rug and upholstery cleaning, as well as tile and grout cleaning. From little messes to big problems, we’re here. Messes happen, but that doesn’t mean your floors have to show it. That’s where we come in. 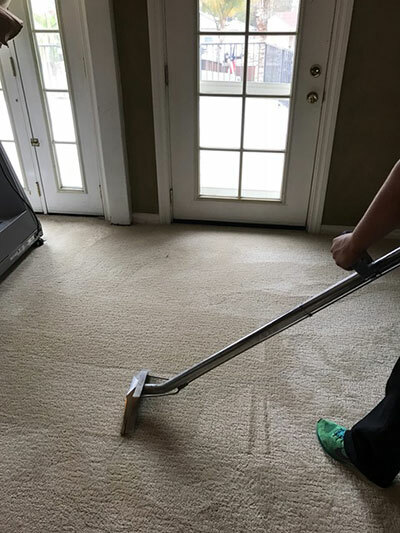 For over 28 years, Valley Carpet Cleaning has been keeping homes and businesses in San Fernando Valley, CA fresh and clean. Whether it’s tile and grout, carpet, hardwood, rugs or upholstery, we’ve got you covered. Has a new pet ruined your living room carpet? Is there post-convention smatter on your business’ hardwood flooring? Does your apartment need a deep clean to help you win back your security deposit? No matter the job, our experienced staff has seen it before and can help you deal with it now. We don’t shy away from the even the toughest projects! We are family-owned and -operated. With no hidden fees and an emphasis on customer service, we provide service you can trust. We are proud to offer 24-hour emergency service to both residential and commercial clients. Our award winning team is there for you when you need them. We are rated A+ by the Better Business Bureau (BBB), and have been awarded the service industry’s coveted Angie’s List Super Service Award. From carpet repair to grout cleaning, our thorough technicians are able to remove even the toughest of stains. Your satisfaction is our number one priority. We’re pleased to offer free estimates on cleaning services to any and all prospective customers. If your space is in need of a little tough love, reach out to us. We’re happy to answer your questions and get you set up with one of our technicians for a free estimate on a job well done.